We have always been told that the sun clears up spots and can help cure acne, but is this actually true? Unfortunately, the answer is no. This is a complete myth and a very dangerous one, at that. The idea that natural sunlight can help fix all your skin woes while simultaneously giving you a gorgeous glow may sound attractive. However, the reality is that acne is just a genetic skin disorder. Sun exposure cannot miraculously clear up the skin and cure acne. 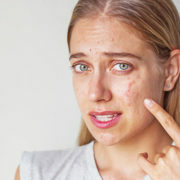 The main factors that cause acne are; the overactive sebaceous glands and sebum, too many cells being formed, blocked follicles, bacteria, and inflammation. 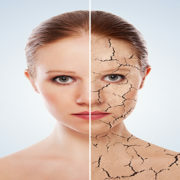 Sun damage suppresses your immune system and consequently the immune cells in acne, from which redness is formed. When acne diminishes rapidly after sun exposure, this is actually your immune system shutting down. Thus, it appears as though inflammation has been reduced. In the short-term, this may be appealing, but in the long-term, it could be hazardous to your health. If your immune system can no longer function properly this leaves your body unable to fight off other health risks such as cancer cells. This is arguably not all that surprising as UV rays are known to be a primary cause of skin cancer. In addition, the sun triggers the skin to produce melanin, making it look darker, which can diminish the appearance of acne. The skin redness induced by acne is disguised, leading some to believe that their acne has been cured. Moreover, the sun dehydrates the skin. While your skin may temporarily feel less oily, this does not mean your acne has been cured. Your body will quickly kick into defense-mode and create excess oil to combat the dry skin, leaving your skin worse off than before. 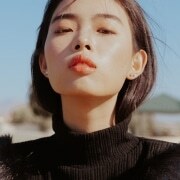 Many opt for skipping SPF because they believe that sunscreen is greasy and pore-clogging while the sun itself is much better for acne-prone skin. However, this is far from the truth. With new skincare technology, there are many sunscreens which are compatible with acne skin and do not worsen the condition. Discover the differences in physical and chemical sunscreen and which one is best for you. As a general rule, dermatologists do not recommend sunbathing as a legitimate way to cure acne. The sun and UV rays are very damaging to the skin and the risks are too great to even consider it a benefit to your appearance and health. 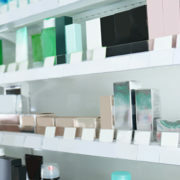 Find all ZO Skin Health Acne products HERE. Find all ZO Medical Acne products HERE.